The same as Ciba Vision Focus Dailies 1-day AquaComfort Plus®, Specsavers easyvision Vitrea daily replacement contact lenses have a higher moisture content and outstanding tear film stability to give all day comfort. Ciba Vision's exclusive blink-activated technology moisturises the lenses with every blink making them more comfortable for longer, both indoors and out. 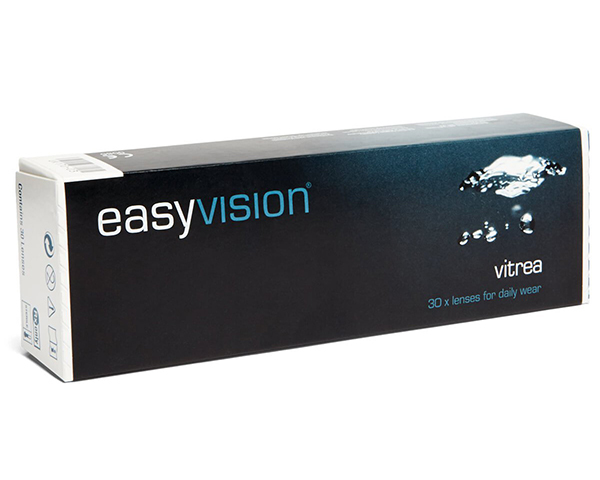 Specsavers easyvision Vitrea lenses are produced using Ciba Vision trademark Lightstream Technology ensuring quality and a thin lens edge for easy insertion and comfort. Recommended for new contact lens wearers who want a comfortable and convenient contact lens wearing experience. Available now at great Specsavers value for money prices.